Since her death at the age of nineteen in 1431, Joan of Arc has maintained a remarkable hold on our collective imagination. She was a teenager of astonishing common sense and a national heroine who led men in to battle as a courageous warrior. Yet she was also abandoned by the king whose coronation she secured, betrayed by her countrymen, and sold to the enemy. 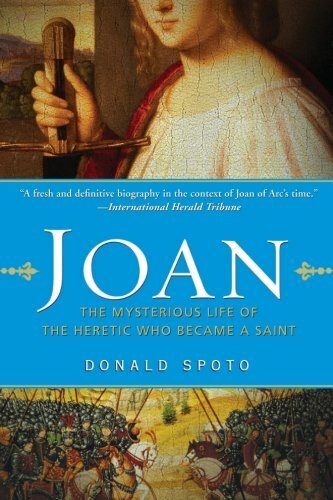 In this meticulously researched landmark biography, Donald Spoto captures her astonishing life and the times in which she lived. Neither wife nor nun, queen nor noblewoman, philosopher nor stateswoman, Joan of Arc demonstrates that everyone who follows their heart has the power to change history.